on toy and figure photography. Download it free on iBooks and Kobo. *You need to download iBooks from the App Store in order to view the magazines on iOS devices. *You need to download the Kobo Reader App from Google Play in order to view the magazines on Android or iOS devices. Happy New Year everyone! Phygure® No.14 Issue 08 marks our 2nd year run and our first release of 2017. Featuring (as always) a lot of talented figure photographers from all over the globe! 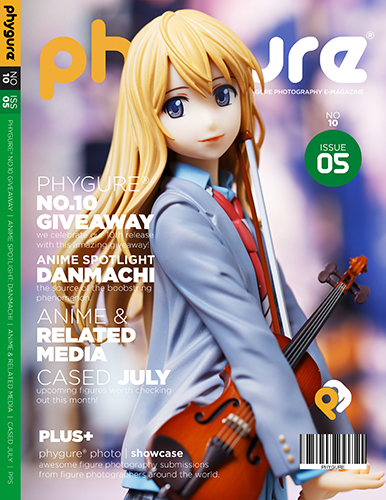 Phygure® Photo Showcase – 12 talented toy & figure photographers showcases their work for the world to see. Check out some of the must buy figures for the month of January. All donations will be used for maintaining server costs and all magazines hosted online.